S. Ohmiya, K. Saito, and I. Murakoshi, Lupine Alkaloids. J. Stockigt, Biosynthesis in Rauwolfia serpentina. J. Sapi and G. Massiot, Noniridoid Bisindole Alkaloids. K.S. Brown, Jr., and J.R. Trigo, The Ecological Activity of Alkaloids. Chapter References. Cumulative Index of Titles. Subject Index. Internationally acclaimed for more than forty years, this serial, founded by the late Professor R.H.F. Manske, continues to provide outstanding coverage of the rapidly expanding field of the chemotaxonomy, structureelucidation, synthesis, biosynthesis, and biology of all classes of alkaloids from higher and lower plants, marine organisms, or various terrestrial animals. Each volume provides, through its distinguished authors, up-to-date and detailed coverage of particular classes or sources of alkaloids. Over the years, this series has become the standard in natural product chemistry to which all other book series aspire. 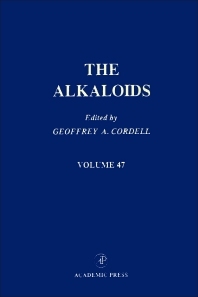 The Alkaloids: Chemistry and Pharmacology endures as an essential reference for all natural product chemists and biologists who have an interest in alkaloids, their diversity, and their unique biological profile. 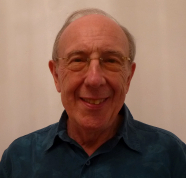 Professor Emeritus Geoffrey A. Cordell obtained his Ph.D. in synthetic natural product chemistry at the University of Manchester in 1970. After two years as a NATO postdoctoral fellow at the Department of Chemistry, M.I.T., he joined the College of Pharmacy, University of Illinois at Chicago (UIC). A Professor since 1980, he served as a Department Head for 12 years and as Interim Dean of the College of Pharmacy for almost three years, as well as holding several other senior academic and research administrative positions at the Department, College, and Campus levels. He was the Co-founder of the US - Thai Consortium for Pharmacy Education, which developed and trained faculty for six new schools of pharmacy in Thailand. He retired from the University of Illinois in 2007. Since 1983, he has served as President of Natural Products Inc., a consulting company. He is the author of about 600 research publications, book chapters, comprehensive reviews and professional publications; is the author of two books, with three more in progress; the editor of 37 books, including 29 volumes in the series “The Alkaloids: Chemistry and Biology”; is Associate Editor-in-Chief of the Chinese Journal of Natural Medicines; and a member of the Editorial Advisory Board of 26 international scientific journals. He is a former President of the American Society of Pharmacognosy, and is also an Honorary Member. In 1981, he was an Alexander von Humboldt Fellow at the University of Munich with Professor Hildebert Wagner. He is an elected Fellow of the Royal Chemical Society, the Linnean Society of London, the American Society of Pharmacognosy, and the American Association of Pharmaceutical Scientists. In addition to assisting international organizations and corporations in several countries around the world to develop their research and academic programs, he is an Honorary Professor at Sichuan University, Chengdu, China; and at Amity University, Noida, India. He is also a Visiting Professor at universities in Peru, Malaysia, and Brasil, and an International Collaborative Partner of the UTAR Global Research Network in Malaysia in the areas of biodiversity and cancer. In addition, he is a member of the International Advisory Board of several natural product research institutes. His interests include the chemistry and biosynthesis of alkaloids, the sustainability and quality control of medicinal agents, the remote detection of biologically active natural products, and the use of vegetables as chemical reagents.